There aren’t many injuries more debilitating than a knee injury. Trust me, I know from experience. In my mid-twenties I tore my ACL during a basketball game. Eight months of rehab got me back to full strength, but three years later I tore it again, this time while snowboarding. My second injury was more serious than the first. The ACL was torn, as was my meniscus, and I had created a hold in my cartilage that the surgeon described as being about the size of a nickel. The prognosis wasn’t what I wanted to hear: No more sports, and no more running if I wanted my knee to hold up. Before you continue reading this article, I want to stress that you should always seek professional help when diagnosing, treating, and rehabbing any injury, especially when it comes to your knees. I have worked with countless medical professionals over the past decade to help me rehabilitate my knee to the point it is at today. I am able to run pain-free, play many sports that I love, and my knee health is as good as it was post-surgery ten years ago. 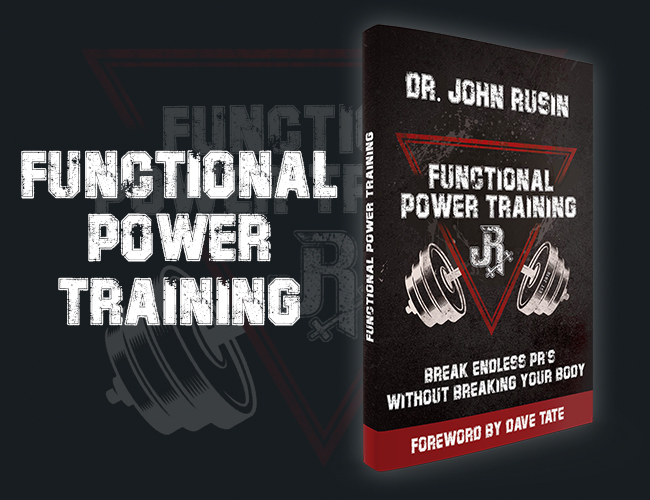 This article explains how I’ve rehabbed my knee, and how I’ve helped many clients do the same. Before looking into how to rehab your own injury, it is important that you understand a bit of the anatomy of the knee. This will make it easier to follow the instructions later on. There are several main muscles that surround the knee. The first set is the Quadriceps muscles, which are grouped on the anterior side of your thigh and attach to the knee via the Quadriceps Tendon. On the posterior of your thigh you have the Hamstring muscles, which attach to the knee via the Hamstring tendon. The bone structure of the knee is made up of the Femur (thigh bone), the Patella (knee bone) and the Tibia (shin bone). There are two types of ligaments in the knee. The Collateral ligaments (MCL and LCL) are found on the sides of your knee, while the Cruciate ligaments (ACL and PCL) cross over the knee. 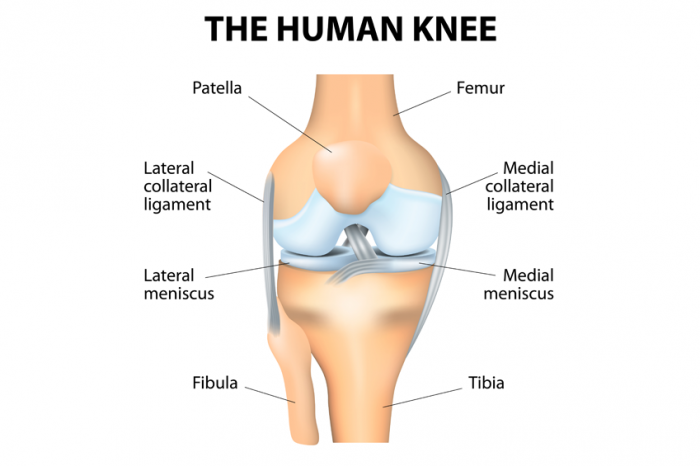 Finally, the Meniscus is a type of fibrous cartilage that provides support, stability, and shock absorption for the knee. Now that we have the basic structures of the knee covered, let’s look at some of the most common knee injuries that you might face. Acute injuries such as patellar fractures or ligament tears need professional medical attention. While you can’t initially rehab these injuries on your own, the advice I offer below can help you rehab after surgery or professional treatment (as I have done). The following rehab protocols are also very helpful for treating chronic knee injuries such as tendon tears, or for reducing chronic knee pain. Myofascial release is a form of therapy that has become hugely popular with gym goers. Many personal trainers and physiotherapists use Myofascial techniques such as foam rolling, trigger point therapy, or PNF (Proprioceptive Neuromuscular Facilitation) stretching to help their clients. , nor does it improve flexibility . However, studies have shown that foam rolling can improve the range of motion of the knee , may lower pain , and clearly has a positive effect on post-exercise soreness , all of which helps while training post-injury. Above is a simple Myofascial release protocol I use after running to reduce muscle pain around the knee, and to promote mobility. There are four main types of stretching: Static, dynamic, ballistic, and PNF. Of these four, you are most likely to have performed static stretching (i.e. think reaching down to touch your toes in gym class). The stretch you have probably heard least about is PNF stretching, yet for rehabilitating your knee, it’s the most important one! PNF stretching usually requires a partner. Using the lying hamstring stretch as an example, lie on the floor while your partner straightens your leg and raises it up in the air until your hamstring feels tight. After 10 seconds or so you flex your hamstrings to create force against your partner. You continue pushing into your partner for 10 seconds before relaxing. As you relax (while still keeping your leg straight) your partner will be able to take advantage of the stretch reflex to move your leg into a deeper stretch. Over time, this will eventually lead to a permanent increase in your range of motion, more so than static stretching . Check out the quick demo above. While recovering from a knee injury, it’s crucial that you regain your full range of motion so that you knee function is not inhibited by muscle tightness. Use PNF to stretch your hamstrings, quadriceps, and possibly your gastrocs at least twice per week . Now that we’ve covered a couple of ways to improve range of motion, let’s talk about improving knee strength. The obvious place to start are the Quadriceps and Hamstring muscle groups since these are the primary mover muscles that cause your knee to flex and extend. Your knee is a hinge joint, therefore you want to begin rehab using exercises that only operate on the forward-backward plane that the hinge joint opens and closes on. Less stable exercises (think lunges) should be saved for much later in your recovery process. A simple quad strengthening exercise is a wall squat (as shown below). 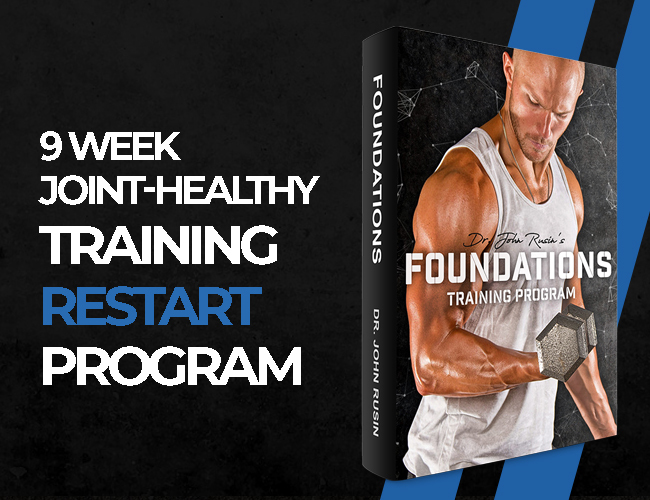 To begin, you may use only a slight bend in your knee, and then progressively deepen your squat as you build strength. Immediately post-injury you may not have the ability to perform even shallow squats, so feel free to use leg extensions. Now you might have heard that the leg extension is “bad for your knees,” but in reality this is simply not true. When performed correctly, it is an excellent exercise for targeting your quadriceps using a stable movement where there will be no chance of you twisting your knee. As for the hamstrings, you can use a bodyweight hamstring curl (shown below) to begin activating your hamstring muscles. At first you will find that your healthy leg does most of the work in this exercise, and that’s okay. Over time you will find that your injured leg begins to catch up, and you will be able to put more load through that side. If this is too much, even with your healthy side taking on much of the load, using a hamstring curl machine can help you rebuild hamstring strength early in your rehab. As I mentioned in the previous section, your knee joint is a hinge, meaning that it opens in one direction only. However, it is also classified as a “slave” joint, because it operates down the kinetic chain from your hip, which, as a ball-and-socket joint, has much great range of motion. Simply put, your hip dictates much of the movement your knee faces. Strong hips allow your knee to perform its intended function only (i.e. open and close like a hinge), while weak hips can cause your knee to suffer from lateral movement that it’s not built to sustain. Remember, the stronger your glutes, the more stable your knees will become. Don’t skip these exercises in favour of simply focusing on the traditional knee-related exercises like squats and deadlifts. One of the biggest downsides of injuring your knee is that your Non-Exercise Activity Thermogenesis (NEAT) levels go down. This is a fancy way of saying you burn less calories during the day because you can’t walk as much, nor can you do everyday activities such as cleaning the house, doing yard work, or running for a bus. All of these activities cumulatively increase your metabolism by quite a lot. With a decreased NEAT, you are likely to lose muscle mass and gain body fat. Additionally, most physiotherapists will tell you that one of the easiest ways to recover from injuries, and prevent them from occurring in the first place, is to lose weight. The less fat you have, the less pressure you will have on your knees. The more leg muscle mass you have, the stronger your knees will be. 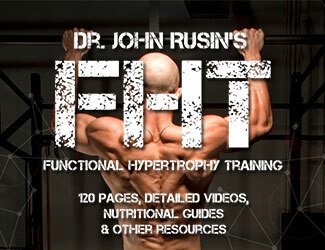 For myself, I have never struggled to maintain a low body-fat percentage. I’m the epitome of an ectomorph. But, since undergoing my second knee surgery, I have proactively reduced the amount of upper body muscle mass I carry. Sure, big arms and pecs look great, but if it comes down to having a beach body or being able to run without stressing my knees, I’ll take the running any day of the week. Pre-injury I weighed about 185 pounds with 4-5% body fat. Now I hover around 170 pounds with the same body fat percentage and feel so much better. Being lighter is always better for your knee health. Make sure that you are getting adequate sleep while you rehabilitate your knee. This seems like such a simple option, but few people include this in their recovery plan. Increasing sleep can help increase muscle protein synthesis, therefore increasing your leg muscle development, and eventual return to sport performance . It is also during sleep that Human Growth Hormone (HGH) is maximally released . HGH has many benefits, increased protein synthesis, increased lean muscle development, and increased rate of healing in your bones, muscles, and even tendons and ligaments. In other words, the more you sleep, the more HGH you will have in your system, and the faster you will recover. Along with sleep, it is crucial that you are getting enough rest between workouts, especially when training atrophied muscles that you are just starting to rebuild. There isn’t an exact rule I can give for the recovery you will need, so listen to your body. After both of my knee surgeries, I lost more than 2 inches from the circumference of my thigh. My quads and hamstrings were very weak, and they took noticeably longer to recover post-workout compared to my healthy leg. If you typically take 2 days off between leg workouts, be prepared to give yourself a third day, remembering that more work is not always better when it comes to building muscle and strength. When it comes to knee rehabilitation, taking things slow is always encouraged. Running back into the gym after a meniscus tear or an ACL injury is not a good idea, especially if your doctor advises you to rest. But, taking things slow and stopping altogether for 6 months are two very different things. You should still be training in the gym, moving your joints, and definitely stretching as soon as possible post-injury. Doing so will help to speed up the recovery process, keep you from gaining weight, and will help strengthen the muscles around your knee to prevent injury in the future. I often wonder if I could avoided my second injury if I had followed this advice ten years ago. Let my injury experience be a warning and motivator for you to take care of your knees right now. Dave Smith is a fitness and weight-loss coach who was chosen as “Canada’s Top Fitness Professional” in 2013. 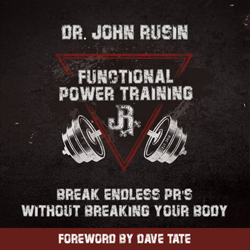 He is the editor-in-chief at Total Coaching, and hosts a weekly Q&A fitness podcast at makeyourbodywork.com. Truly, knee injuries can be difficult to recover but you’re actually sharing some good stuff here. We’ve been in this business from year now and we’ve helped a lot of our clients heal their knee injuries through therapies and exercises. I’ll obviously ask fitness trainers at Star Agency https://staragency.com to read your blogs. We’re one of a well-known fitness and rehabilitation center in Middle East.